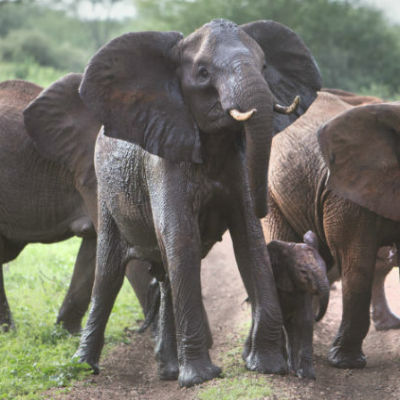 Born Free has welcomed the passing of the Ivory Bill into UK law. Born Free believes that any commercial trade in both old and new ivory stimulates demand, compromises law enforcement, and provides a potential means by which ‘new’ ivory from poached elephants can be laundered into trade. The charity has been campaigning for a global ivory trade ban for nearly 30 years. Reacting to today’s news, Born Free’s President & Co-Founder, Will Travers OBE, said: “I was in Lausanne in 1989 when the world voted to end the commercial trade in ivory. I subsequently observed with dismay the erosion of that ban as a result of a series of greedy, foolhardy and dangerous decisions, and I have witnessed first-hand the consequent rise in elephant poaching to epidemic proportions. Dr Mark Jones, Born Free’s Head of Policy, added: “The passing of the UK Ivory Bill into law is a vindication of Born Free’s long-standing assertion that only by banning the trade in ivory can we hope to bring an end to the poaching of elephants, who are being slaughtered on an industrial scale to provide the market with tokens and trinkets. Born Free has worked closely with the UK government and other NGOs in bringing the UK Ivory Bill into law. Will Travers OBE gave evidence at the Ivory Bill Committee hearing held earlier this year, and Born Free will continue to advise the UK government to ensure that other ivory-bearing species, such as walrus, narwhal and hippo, are included within the scope of the law. Howard Jones, CEO of Born Free, added: “This landmark has been reached due to the commitment of many people and organisations, each refusing to accept the unacceptable and rejecting the unthinkable – the intentional eradication of ivory-bearing giants such that our grandchildren would only see them on film and in picture books. This is 11th hour stuff – halting on the brink – and I am immensely proud of our team at Born Free for playing such as crucial role.